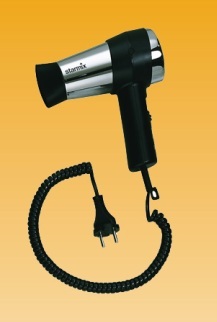 The well-known high-grade handheld hair dryers in elegant chrome design. Optional with coordinated WHC chrome wall bracket. For guest bathrooms in sophisticated hotels and where emphasis is placed on discerning equipment.